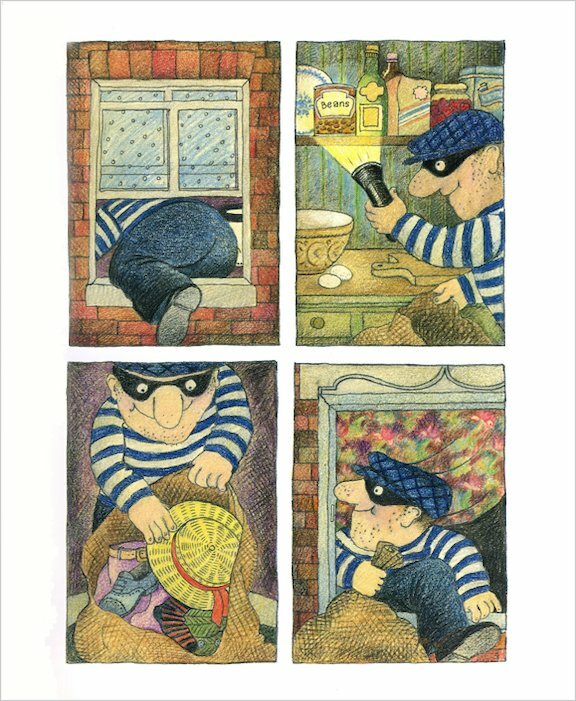 I think that burglar bill is the best book in the world i love when he’s there putting hats in a bag!!! 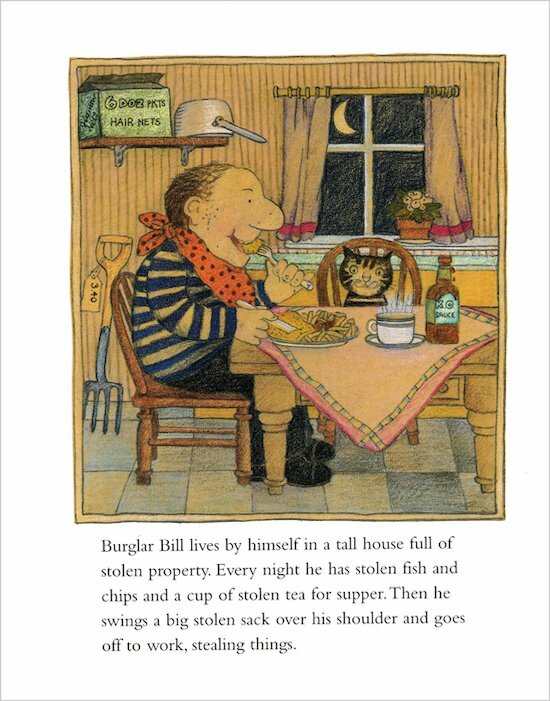 He stole lots of stuff but this book had a happy ending so I enjoyed it. very funny book, I really enjoyed reading it! This book is fantastic but not that good because its for babies. I think it really good or maybe okay. This is a book i have from my childhood which i now read to my son and show him the pictures which he loves. 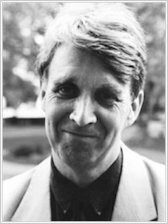 Great quality book which doesnt age. 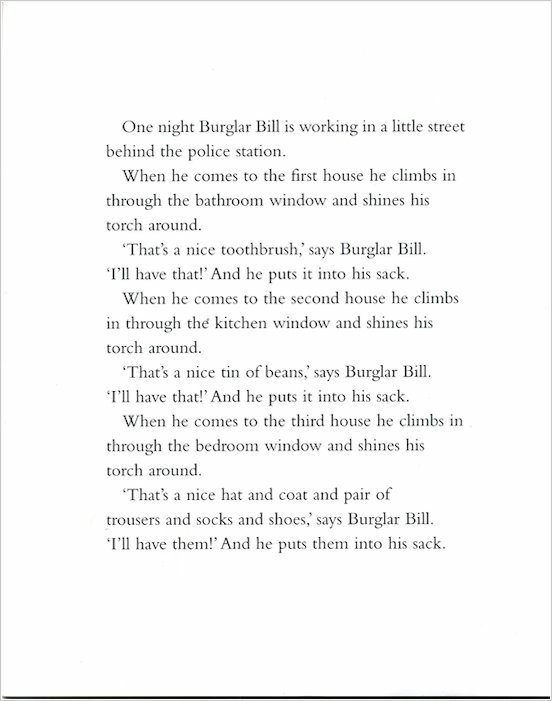 Even though I am quite old you can never beat Burgular Bill my favourite childs book. This book is perfect for Young Children. 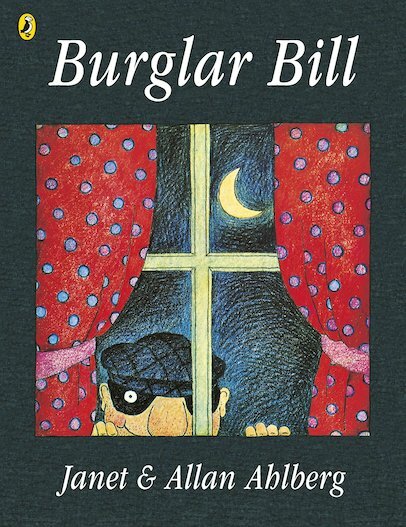 Whether you choose to read alone or with an adult, Burglar Bill becomes a friend forever. This book is fantastic for beginner readers, making them want to read every day and never stop. He is a robber but in the end he is good. My mummy likes this book too. When I was young it was my all time fav book and even though I am now older I still enjoy it and I think other people should try it! i use thr read this book in first school i can renember bits like when he looked after the baby! 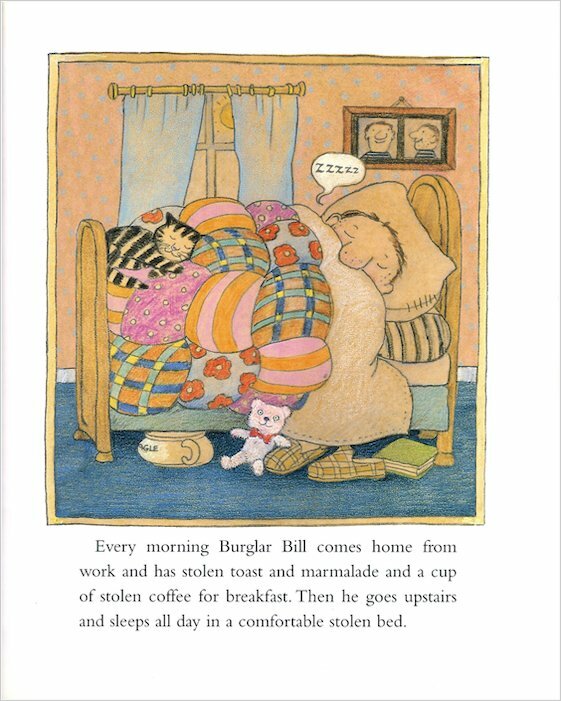 Burglar Bill was my favourite book when I ws younger and still remember the great story of Bill and Betty! I really like the way they describe it when Betty meets Bill and she stays with him! !